At Zente Exquisite Kitchens we strive to deliver cabinetry of the highest quality design, innovation and craftsmanship. 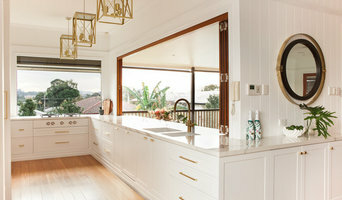 Our scope of works include personalised design, manufacture and installation of budget to high-end luxurious kitchens from Sunshine Coast to South Brisbane. We aim to make the process seamless by eliminating the guesswork from kitchen selections and providing clients with a comfortable environment that reflects our core values of craftsmanship and innovation. Our friendly team will assist you in planning your kitchen from the beginning to the end including the coordination of appliances, finishes, and the even removal of your current kitchen. Let us take care of it all, we make the entire process very simple. We are conveniently located at 80 Lear Jet Drive, Caboolture - so why not visit our showroom today or call 5499 2411 to arrange an obligation free in home appointment to make your dream kitchen a reality. Joinery and cabinet makers are mostly known for their work in kitchens and bathrooms, but their skill set goes much further than that. It is important to understand the difference between carpenters and cabinet makers, which lies in the detail of work. Carpenters tend to work on larger structural projects and this is why many become builders, whereas cabinet makers are masters when it comes to the finer detail. 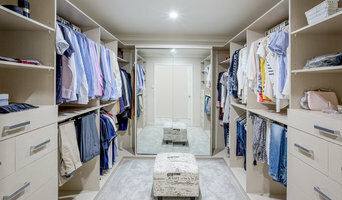 So if you’re looking for detailed woodwork like custom-made furniture for your living room or smart storage solutions, you’ll be sure to find a Zillmere, Queensland cabinetry expert in the Houzz directory of professionals. What Do Zillmere, Queensland Joinery and Cabinet Makers Do? If you know what you want and are ready to take the next step, scroll through this page to find joinery and cabinet makers in Zillmere, Queensland. As mentioned, you can browse their latest projects, read reviews and see how other homeowners rate their work, and message them directly. You can also look through Photos to find examples of joinery you like, then contact the professional who worked on them.